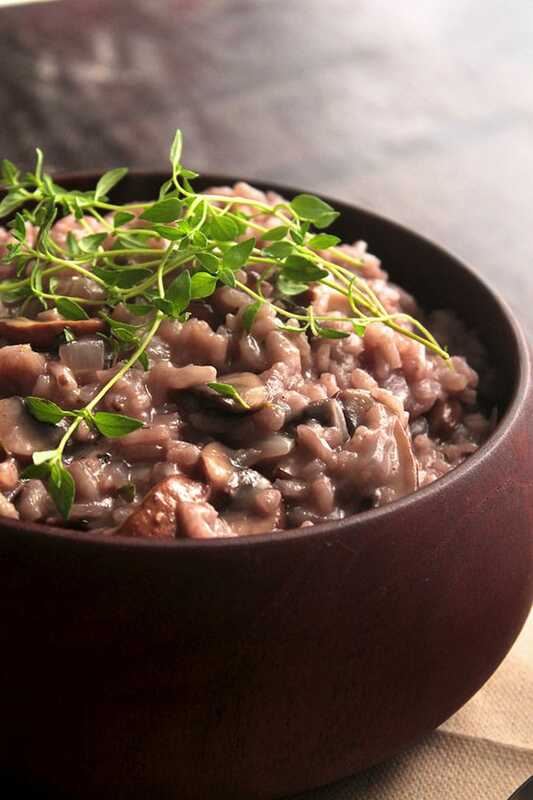 This red wine mushroom risotto recipe puts a fresh twist on classic risotto. With sautéed baby portobello mushrooms, fresh thyme, and plenty of butter and parmesan cheese. The perfect cold-weather comfort food! Fact: Everything is better with wine. Especially when the wine is accompanied by risotto. And then covered in butter and cheese. And consumed with a big ol’ glass of even more wine. I like this mushroom risotto because it’s a nice, subtle twist on the classic white wine variety. Mushrooms and thyme lend a little bit of earthiness, and the red wine gives it a beautiful pink-ish (but not PINK pink, because we don’t want to eat Pepto for dinner, because gross) hue and just a hint of red wine flavor. I’m often a fan of dishes with big, bold, in-your-face flavors, but this risotto is delightfully subtle. Just a big bowl of mmmmmmm. 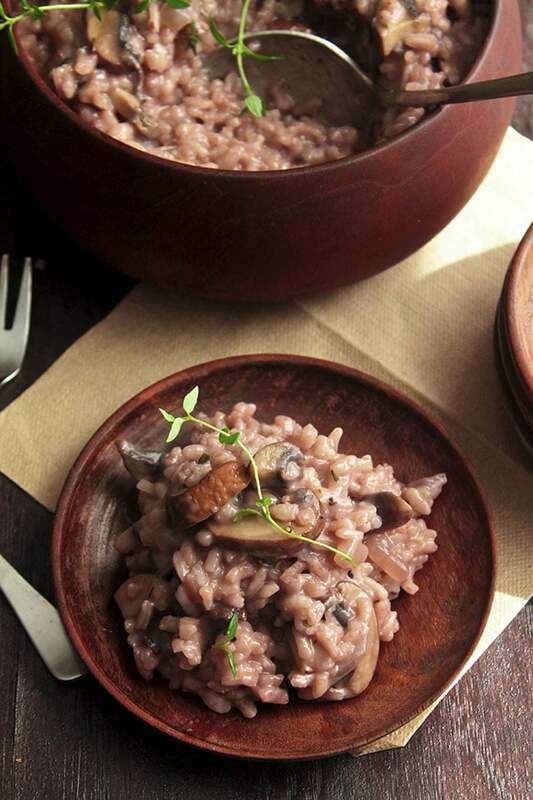 Also, pro tip: Serve this mushroom risotto with some of my favorite Easy Crusty French Bread. I pinky promise you won’t regret it. 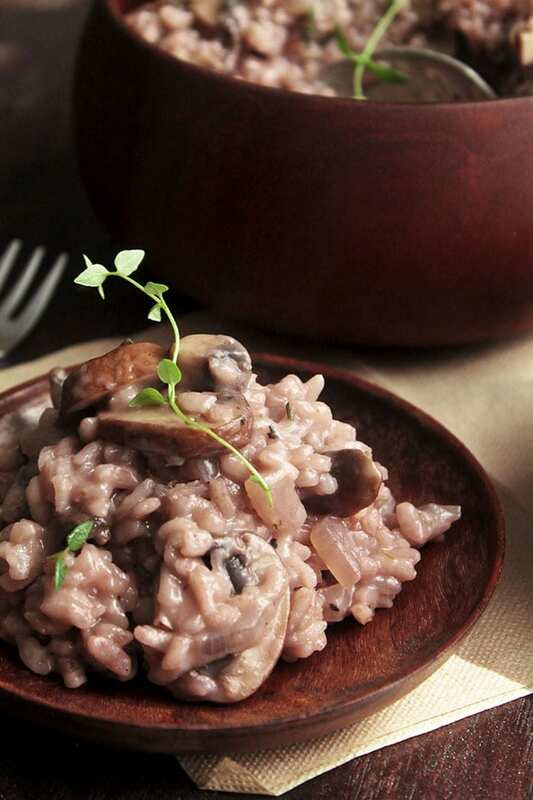 An easy mushroom risotto with a fun red wine twist! Add onion and sauté until translucent, about 2 minutes. Add garlic, mushrooms, salt, and pepper to saucepan and sauté, stirring occasionally, for 5-7 minutes until mushrooms are soft and have reduced in size. Pull thyme leaves off the sprigs and add leaves to saucepan. Add arborio rice to saucepan and toast, stirring frequently, for about a minute, until any liquid is absorbed. Add red wine to pan to deglaze, scraping any crispy bits (the “fond” aka flavortown) off the bottom of the pan. Cook, stirring frequently, until rice has absorbed nearly all of the wine, about 10 minutes. Add 1 cup stock and cook, stirring frequently, until rice has absorbed nearly all of the stock. Repeat this process, adding 1 cup of stock at a time and letting the rice absorb it in between each addition, until rice is al dente. Taste the rice in between each addition of stock to see if it needs more; the final product should have a slight bite to it and not be mushy, and the rice and stock will have formed a thick, starchy broth. I generally use about 6 cups of stock before the risotto is done. When rice is cooked, remove risotto from heat. Stir in unsalted butter and parmesan cheese, stirring continuously until they’ve both melted into the risotto. Taste again and add seasoning if necessary. Top with fresh thyme and serve immediately. 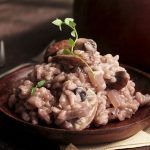 Risotto takes time and attention to cook properly – be patient and taste often! It can take a bit of practice to get it right, but it’s so worth it! Stir your favorite sautéed vegetables into the risotto to make it a little heartier. This is great with asparagus, peas, broccoli, zucchini, roasted squash, cauliflower, and anything else you have on hand! If you find you’re short on stock, you can make up the difference with water (or more wine!) in a pinch. Serve with a fresh loaf of my favorite Easy Crusty French Bread! I have made this risotto at least 6 times by now and it is always so delicious. I am making it again today because friend have been begging me to make it AGAIN for her. A total success. Thank you for the recipe. I’m so happy you like it, Judy! Thank you so much for letting me know! I definitely must try mushrooms and red wine together next time I make a risotto! Thanks for the recipe! It’s a great combo! I hope you love it! I just looked up recipes to use my mushrooms with and found this. So worth it! I only had brown rice and dried thyme. It is so good. I will make it again bc I still have mushrooms left 😉 great side dish it can be a great main too. Made this for Christmas yesterday! 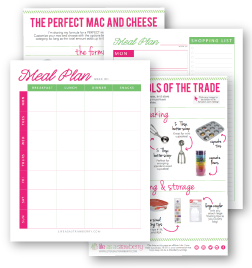 Most amazing recipe! I can’t wait to make it again!!! I recently had red wine mushroom risotto at a local restaurant. Can’t stop thinking about it. It was one of the best dishes I have ever tasted. Have never made risotto before, but I must now. Sounds like a wonderful recipe. Thank you! Happy Moving! I don’t enjoy moving, but I am pretty good at it. I’m strong so I can help with the big boxes, and I’m organized so I’m great at unpacking. You are lucky to have Kyle around to help unpack, that’s the hardest part, lol. I’ve never made risotto and I’ve never really wanted to, but this recipes changed my mind. The pictures alone made my mouth water. Thanks for sharing this wonderful recipe, I’ll be trying it soon. this risotto looks delicious! never made one with red wine before, definitely need to try the idea out! Never had red wine in risotto. Looks like it gives a fabulous color to it. Also, I love that onions and mushrooms are not too tiny. Must be great to feel them in your mouth when enjoying the risotto. YUM! Pinning! I agree – I like to be able to taste the mushrooms and onions!